Dec 20, 2016: Buy another SSD or HDD to store all my steam games? Dec 22, 2016: Good hardrive for around $50? Dec 25, 2016: Is this a good build for 1080p, 60FPS+ gaming? Dec 25, 2016: Update: First PC for 1080p, 60FPS+ Gaming. Dec 25, 2016: Good build for 1080p, 90FPS gaming? Dec 26, 2016: Will this be good for 1080p, 60FPS gaming? Dec 30, 2016: Could I get some feedback on my part list? Jan 02, 2017: Help with lower budget PC? Jan 04, 2017: First time building a PC, not sure I have parts that are compatible with one another. Jan 04, 2017: Hello, reddit. I have gone through 3 hard drives in the last few months. I need your help identifying issues. Jan 19, 2017: Possibly trading PC's. Someone care to chime in please? Jan 23, 2017: Are Chinese SSDs reliable(Alibaba,KingSpec)? Feb 06, 2017: In Rogue One, Jym Carried an HDD, Rebels Used an SSD. Feb 07, 2017: 550$ Build. All ready have a case. Could use some critique. Thanks in advanced! Feb 13, 2017: Linux compatible build? Need doublecheck. Mar 01, 2017: Last tuning before I attempt my first build! Mar 13, 2017: New build. No Display. Mar 17, 2017: Need help on what to upgrade! Apr 14, 2017: Budget PC build for a friend what do you think? Apr 30, 2017: Please help! What's the difference between these two HDD? May 04, 2017: CPU for 30k? May 15, 2017: I need an opinion on my first PC build that was also on a budget. May 17, 2017: PC shuts down immediately/won't turn on when I connect HDD to SATA power cable. May 22, 2017: [Build Help] First gaming PC and I have some questions! May 30, 2017: Can Someone help me pick a RAM. ( I want it to be White RAM 16gb DDR4 and needs be compatible with those parts? May 31, 2017: Bought My Friend's Custom-Built PC, Planning On Upgrading The GPU To A 1080ti, What Do I Need To Upgrade? Jun 05, 2017: Will HGST Travelstar 1TB 2.5" HDD work in the Dell R810 PERC H700? Jun 17, 2017: [Help] Installed a new Hard Drive, causing extremely brief pc feezes and weird glitchiness. Jun 20, 2017: Finalizing my new 57k build. Is it good? Jun 20, 2017: Finalizing my new $900 build. Is it good? Quick suggestions are welcomed. Jun 27, 2017: SSD for speed, or HDD for space? does a sata ssd really make such a difference? Jul 08, 2017: Budget build help? Aug 02, 2017: Is everything on this build compatible? Sep 09, 2017: [Build Help] Final Review before pulling the trigger on my first build. Sep 12, 2017: Is this computer going to be alright for VR? Sep 30, 2017: How to find if memory is compatible for my system? Oct 17, 2017: Went from HDD(WD Black) to NVMe SSD(960 evo) and it cut loading time by minutes!!! Oct 31, 2017: Is this PC setup good? Do you have any suggestions? Nov 30, 2017: Is this a Good, Cheap Build? Dec 02, 2017: [Build Help] First time builder, just looking for some advice/thoughts on the build I've come up with. Dec 16, 2017: Finally making a new rig after 7 years, could use some advice. Dec 16, 2017: Will this PC Configuration work? Jan 10, 2018: Outstanding Cheap $600 Gaming PC Build! Jan 12, 2018: Anything wrong with this build? May 02, 2018: Upgrading PC slightly, need help! May 19, 2018: Help out a wannabe PC gamer? Jun 04, 2018: My First PC - Need Help! Jul 18, 2018: WD Black vs Blue is it worth it? 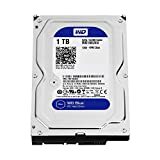 Oct 22, 2018: WD Blue 1 TB —-help? Oct 23, 2018: Making the switch! Buying for my first build. Nov 23, 2018: Looking to build my 2cd PC and need some help! Nov 25, 2018: Would anyone buy this? Nov 28, 2018: SSD/HDD Combo or HDD Only? Dec 07, 2018: Was wondering if this pc is Hackintosh compatible. Dec 28, 2018: Hard drive is very slow, looking to upgrade to an SSD! Feb 16, 2019: Anyway to reformat burned discs? Mar 31, 2019: Finished My 2nd Custom Build, Your Thoughts?